I know it’s been a while since I have updated my web blog. Partly because I’m extremely busy with various projects and simply had no time to maintain this site. I have since started learning about videography, running my youtube channel among other things. If you have a few minutes to spare, please feel free to come and visit. I post about gear/product reviews, how-to videos, and random things happening outside of my photography life. 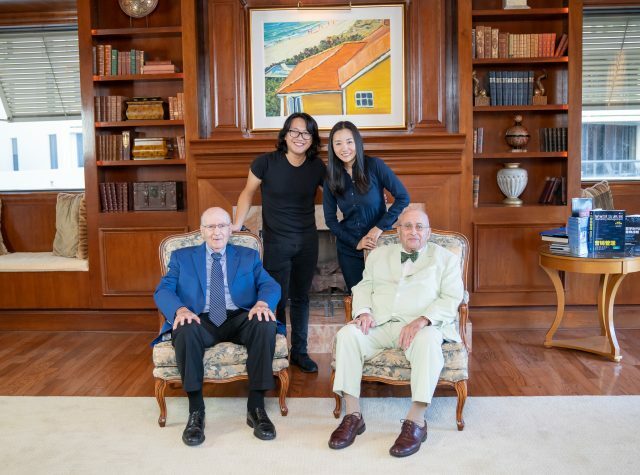 Here is a recent photo of me and my wife on the job filming an interview session for Philip Kotler, the Father of Modern Marketing, and his brother Milton Kotler, President of Kotler Marketing Group. Thank you for coming and have a blessed day.